This last month just flew buy. It felt like it was just last week that I received my April Tackle Grab when the May shipment arrived. As always, the unboxing of cool new baits was fun. 1 – Reaction Strike Revolution Crankbait – rEC-XSD-77 in Ghost Minnow – available on Reaction Strike’s website for US$9.99. This crankbait is in a great color for clear water and I especially liked that it’s a suspending bait. This time of year this would be useful run along weed bed edges, on flats and points. 2 – FishBelly Helix Ninja buzzbait – available on Tacklewarehouse’s website for CAD$11.99. 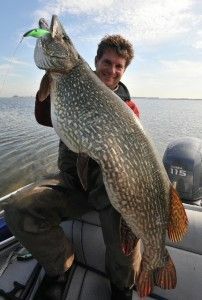 I really like fishing buzzbaits. They are so visual and always provide a great show when you get a strike. The Helix Ninja buzzbait seems like a great take on this exciting lure. It features an aerodynamic blade that spins, extending casting distance, and sideways mounted reflective fish to improve the fish’s view of your bait. I am very curious to see how this bait will stack up against my current buzz baits. This is another exciting addition to my tackle box! 3 – Gambler Lures – Why Nots – available on the Gambler Lures website for US$3.99 for a 8-pk (prorated to US $1.50 for a 3-pk). The Why Not is a fantastic soft bait for Texas rigging and pitching into cover. 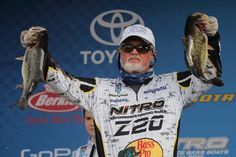 Pitching is one of my strengths and this is definitely a soft bait that anglers need! 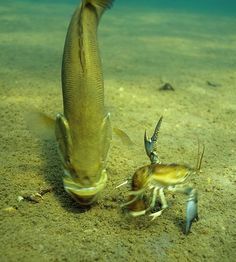 The wide body of this bait, along with its pronounced ribs, move a lot of water and let the fish locate it easily. This bait will do very well with a 3/8-oz. weight and a 5/0 EWG hook. For heavy cover/ high wind change up to a 1/2-oz. or even a 3/4-oz. tungsten weight, and hold on! 4 – Set The Hook – 4″ Crush Worms in Green Pumpkin, available on the Set the Hook website for CDN$5.99 for a 10-pk (pro-rated to US$2.32 for a 4-pk). This bait is a drop shot lover’s dream. 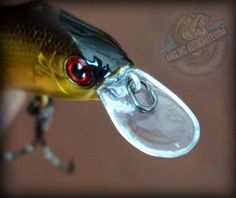 It features an enticing profile that mimics a leech, worm or small baitfish, depending on the action the angler imparts on it. The supple plastic is sure to do well on clear water lakes when fish seem to have lockjaw. 5 – Got Stryper Baits 7″ Pintails – available on Tackle Direct’s website for US$4.99 for a 6-pk (pro-rated to US$3.33 for a 4-pk). This bait was a bit of a surprise. I really liked that even though this bait is geared towards stripers, it has some bass-catching potential. If I was in a tackle shop, I definitely would have dismissed this bait. 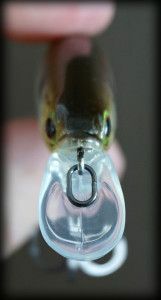 But looking at it, I can see this bait being effective on a Texas rig, Carolina rig, or even as a wacky rig offering. It’s interesting indents may give it some cool action. The Gotstryper.com website claims that this plastic has a life-like serpentine motion. I will have to try them out! This may be a great tail to use with a hitchhiker. 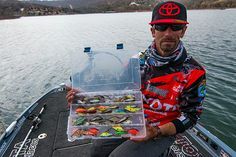 Total box value =US $29.12 + 150 Tackle Grab points (which can be redeemed for up to $10.50 off future orders from Tackle Grab) + $5 coupon code off a pair of Brewsees (beer bottle-opening sunglasses) and a $50 gift code for Naked Wines!! Just four months into my Tackle Grab membership, I can safely say that I have tonnes of cool new baits to try out this season. Stay tuned for our update on the June shipment (ETA – 4th week of June/1st week of July)!